Pkolino’s ever-clever design approach comes through again with their P’kolino Klick — a workstation for toddlers that functions like a kid-size puzzle, with the chair fitting into the desk just so. Kids can get excited about learning and working with a desk and chair made just for them. The P’kolino Klick is a brilliant space-saver. A hidden storage compartment beneath the seat has ample space for art and writing supplies, and when not in use, the closed workstation tucks easily into corners or against a wall. 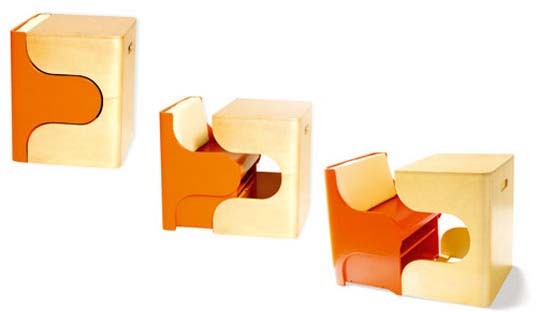 The padded seat makes the Klick comfy for kids whose concentration lasts for hours, and for those who can’t sit still, it acts as a play object unto itself that teaches kids the principles of form. 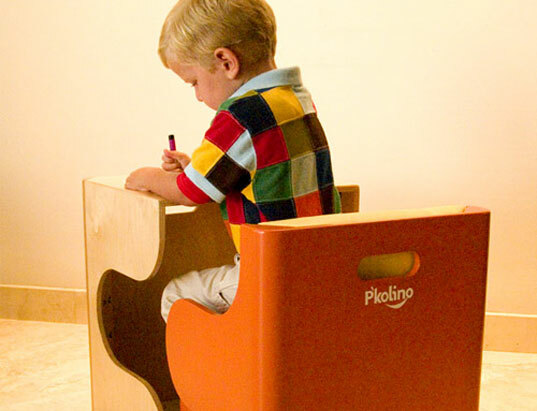 Pkolino's ever-clever design approach comes through again with their P'kolino Klick -- a workstation for toddlers that functions like a kid-size puzzle, with the chair fitting into the desk just so. Kids can get excited about learning and working with a desk and chair made just for them.